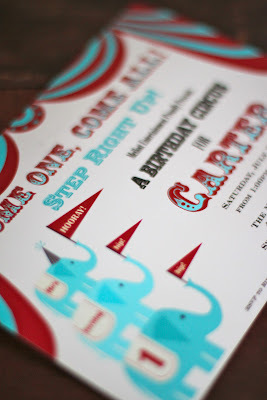 After spying these adorable Circus Invitations on Gwynn's Etsy shop, I knew I was hooked. 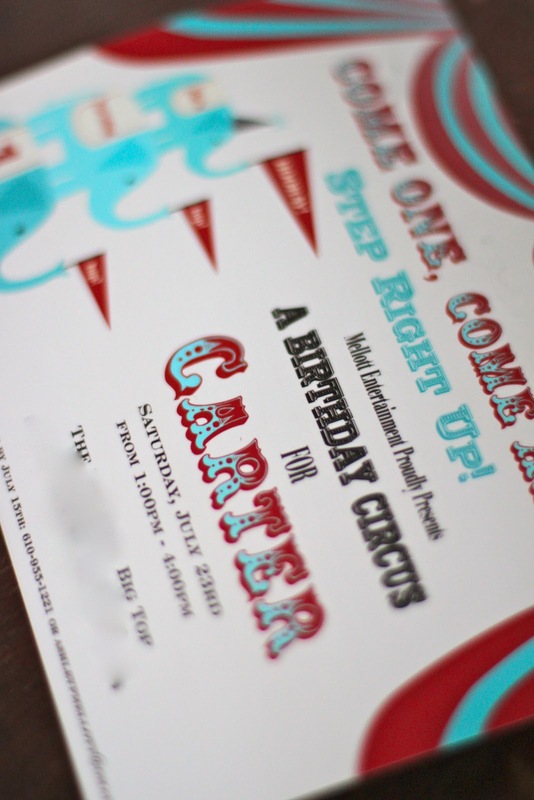 A vintage-inspired Carnival/Circus Party it was. 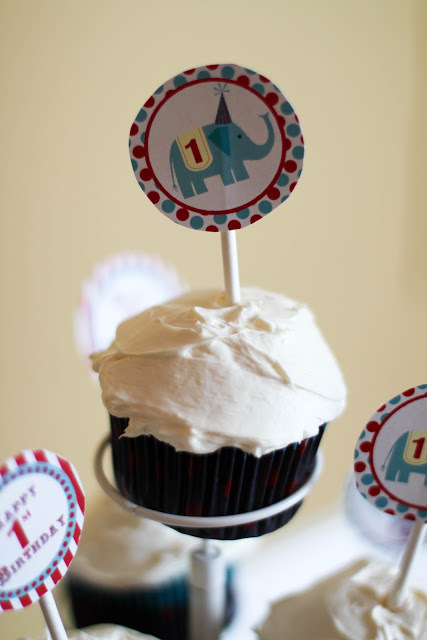 Without Gwynn's help and ridiculously adorable designs, C's party wouldn't have come together like it did. I absolutely love every little detail that she incorporates into her designs whether they be custom door signs, banners, tags or toppers! She does it all and does it with such care, concern and excellent customer service. Gwynn was great to correspond with, answering every little question I had and doing so in a timely and efficient manner! If you're knee deep in party plans and looking for one-of-a-kind crafty, inspired designs? Please check out Gwynn Wasson Designs! Thanks for sticking with me through this week's party recap! creative side! Who knew I even had one? Just so you know, I'm for hire. As in, I even do pet parties. 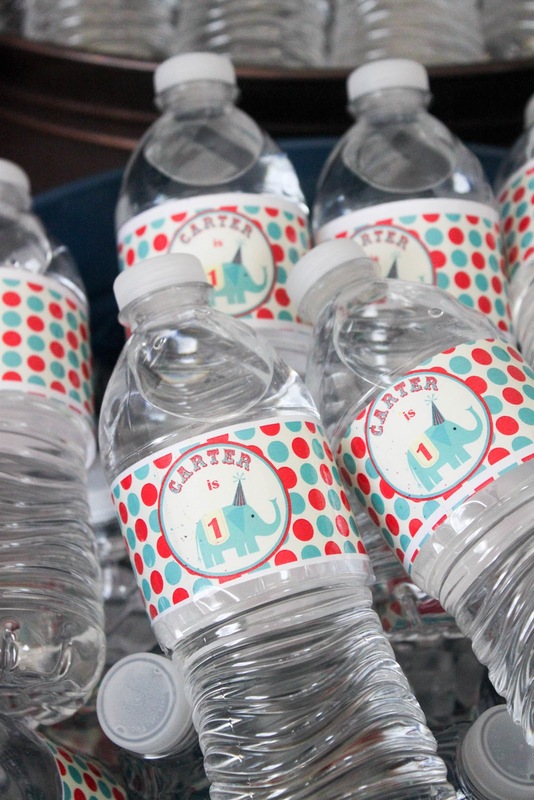 If I ever have a little boy, I'd have to copy this entire party from the outfit to the cute water bottles to the banners to the mantel to the orange peanuts to the popcorn to the animal crackers! Seriously, it was amazing! Thank you for sharing Carter's special day with us! And Etsy...could not live without it! LOVE LOVE LOVE THE INVITATIONS!!!!! They are sooooo cute! Okay, for real....... it turned out PERFECTLY!!! Were your guests (umm... I mean Carter's guests), beside themselves over how awesome it all was?